MISSOURI CITY, Texas (KTRK) -- A high school freshman in Fort Bend ISD is receiving tremendous support from her school community as she starts the new year, continuing her fight against brain cancer. Alyssa Ferguson's friends and neighbors describe her as giving and full of spirit. When she was granted a wish from the Make-a-Wish Foundation, she wanted to bring clean water to families in Africa. 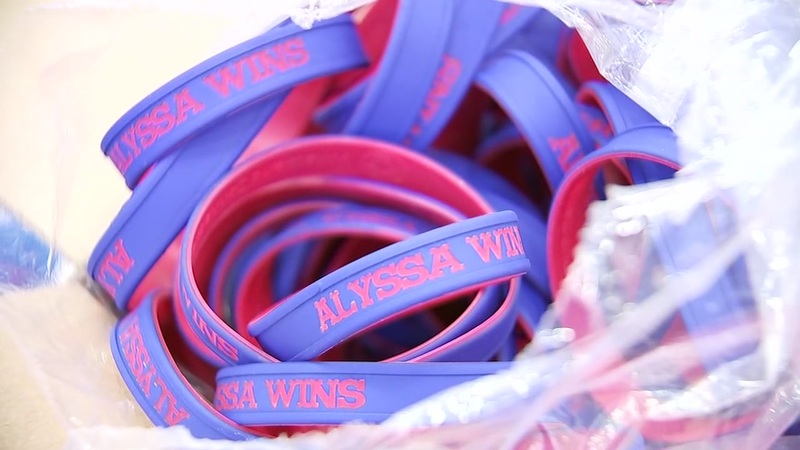 To honor her 15th birthday, Alyssa's classmates wore red and blue, her favorite colors. They also sold wristbands and signed banners as she fights for her life. Profits will go toward continuing her efforts to build water wells in Africa. "When we told Alyssa what her school was doing in honor of her birthday, she was so touched and moved by this huge act of solidarity by her classmates and teachers," her father, Scott Ferguson, said. "We are truly grateful and moved by the support of her high school, her former middle school, her sister's elementary, and all of the Fort Bend ISD community. From the bottom of our hearts, we thank you."